Last week local South African streamer Francois “RustyPieLover” Botha announced a charity livestream partnering with CANSA, Exdee Gaming, and Major Gaming Studios. The idea is that all the proceeds from the livestream will be donated to CANSA. The stream will be an all day affair on the 30th of June 2018. On May 30th local MGO Exdee Gaming challenged Sinister5 to a Dota 2 exhibition match that would take place on the charity livestream. The catch? Exdee Gaming would be donating R1,000 to CANSA and challenged Sinister5 to do the same. Sinister5 agreed, and the rest of the details were quickly revealed. 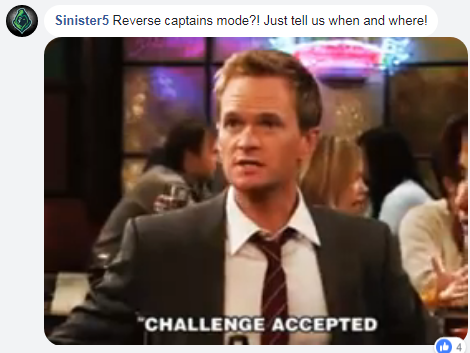 The match will be the reverse captains mode Bo3 format (you choose your oppositions heroes). Date and time is Saturday 30 June at 18h00. Kaameel Chicktay and Damian “RockLee” Dangubic will join RustyPieLover to cast the match as well. This is a pretty neat initiative. Keep an eye on the Sinister5, Exdee Gaming, and RustyPieLover social media accounts for more details on how you can support the stream and CANSA! We’ll update our match ticker here on Esports Central with relevant details as well.